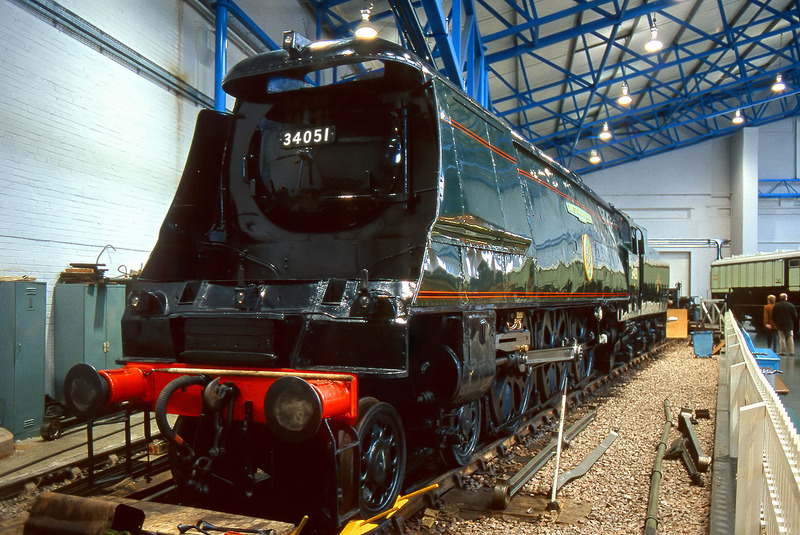 Battle of Britain Class 4-6-2 34051 Winston Churchill in the National Railway Museum at York on 10 November 1996. This is the only steam locomotive that I can really remember seeing on the mainline during in the 1960s. I was taken by my father to watch Sir Winson Churchill's funeral train pass through Oxford on 30 January 1965. Being only a young child at the time, I was more interested in playing in the stream by the side of the line near Walton Well Road, rather than watching the trains! I do however remember the 'Spam Can' thundering past, just a few feet from our vantage point. All the vehicles used in the funeral train survive in preservation, albeit in different locations.